Medical Debt And GoFundMe: Friends And Strangers Step In Where Insurance Lags : Shots - Health News Medical fundraisers account for 1 in 3 of the website's campaigns and bring in more money than any other GoFundMe category. Americans' confidence they can afford health care is slipping, some say. Even for conventional medical treatments that are covered under most health insurance policies, the large copays and high deductibles have left many Americans with big bills, says a health economist, who sees the rise in medical fundraisers as worrisome. Tammy Fox wanted to help, after a friend took ill with a rare and difficult-to-diagnose autoimmune disorder that required many trips to the Mayo Clinic. While Fox couldn't do anything medically, she knew there was a way to ease some of the burden of medical bills and costs associated with doctor visits. She turned to the website GoFundMe and set up a site for her friend. "You've got meals; you've got hotel stays," she says. "And gas. So that all needed to be covered." Contributions came in from strangers, notes Fox, who lives in suburban Minneapolis. "It's crazy cool how awesome people are and what they're willing to give. People, when they come together, can just move mountains — and I think that's awesome to see." Setting up a GoFundMe page has also become a go-to way for people in need of help to pay their doctors and other health providers. Medical fundraisers now account for 1 in 3 of the website's campaigns, and they bring in more money than any other GoFundMe category, says GoFundMe CEO Rob Solomon. "In the old paradigm you would give $20 to somebody who needed help," Solomon says. "In the new paradigm, you'll give $20, you'll share that and that could turn into 10, 20, 50 or 100 people doing that. So, the $20 could turn into hundreds, if not thousands, of dollars." Carolyn Deal is hoping GoFundMe can help her with alternative treatments she wants to try in hopes of regaining some of her hearing. 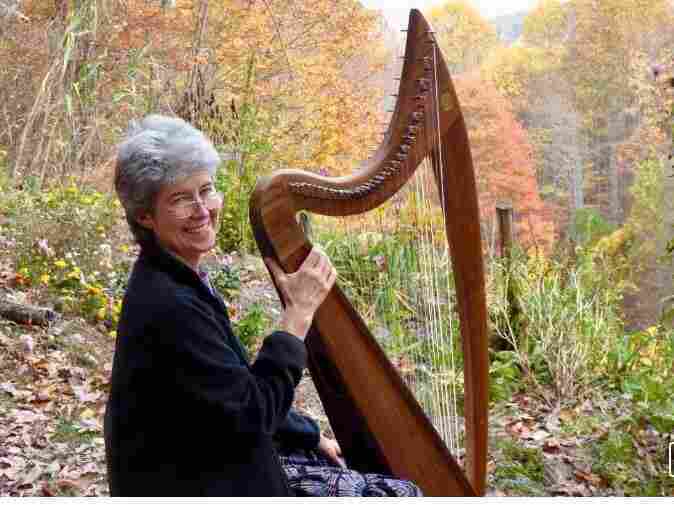 Here she is in 2016 with her 25-year-old double-strung harp. Americans' confidence that they can afford health care is slipping, says Sara Collins, an economist at the Commonwealth Fund who studies American health care concerns. 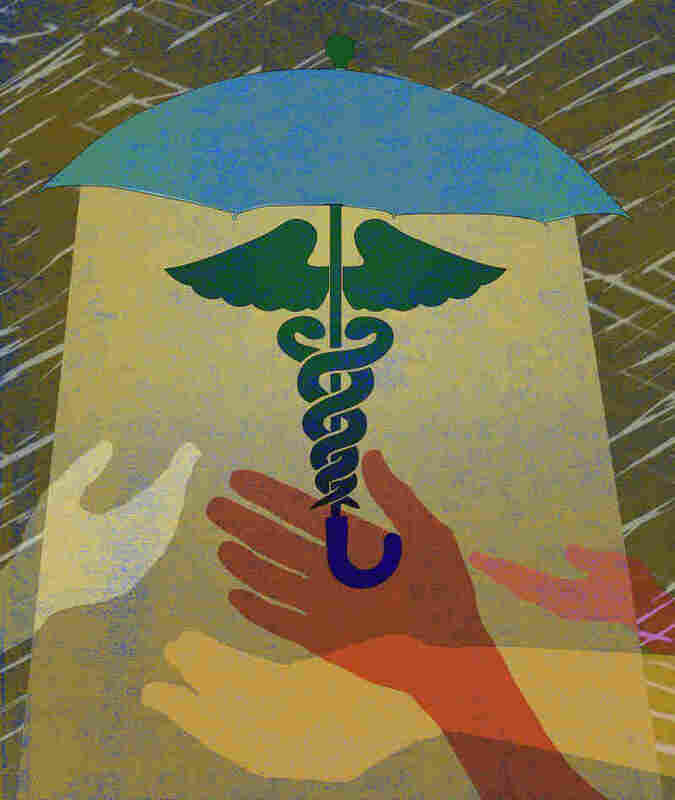 Even for conventional treatments that are covered under most health plans, the copays and high deductibles have left many people with health insurance they can't afford to use. "We find that underinsured people are nearly as likely to report problems paying their medical bills as people who don't have any insurance," she says. "And they also report not getting needed health care at rates that are nearly as high as those who are uninsured." So it shouldn't be surprising that people are raising funds through crowdsourcing, Collins says. "But it really should be a deep concern for policymakers and providers." Solomon says there are challenges with how health insurance works and how people are covered. "There's just a lot of cost associated with the medical space, and it has become a very important category on GoFundMe," he says. This story is part of a reporting partnership with NPR, Minnesota Public Radio and Kaiser Health News.